I’ve wanted to try this reflection technique on a card for a long time. Even a serious card can have a light-hearted sentiment – perfect for my uncle who is turning 82! 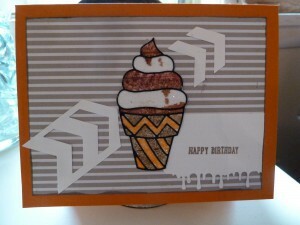 This really was easier than I thought using the stamp-a-ma-jig to ink the shadow and flip and press onto the card. 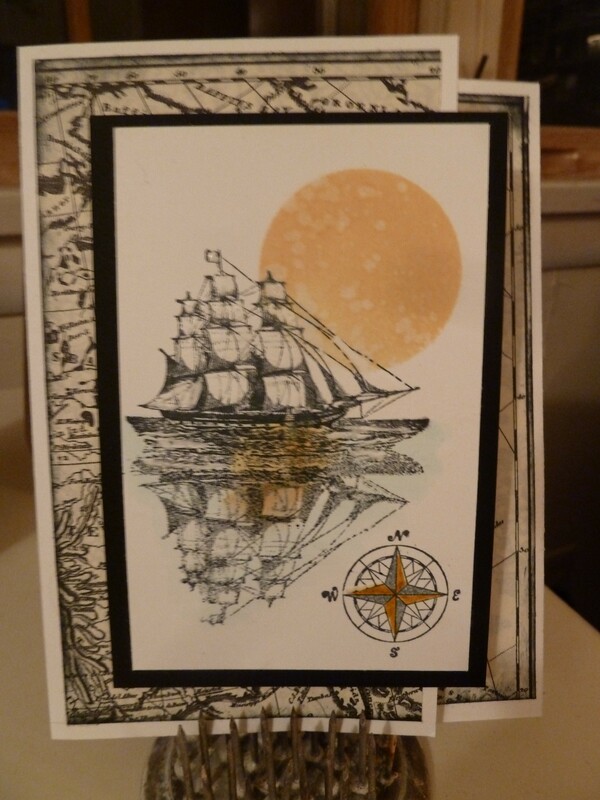 I used a white gel pen to make the sails pop a bit on the ship and added a bit of yellow and orange in the water to reflect the sun. 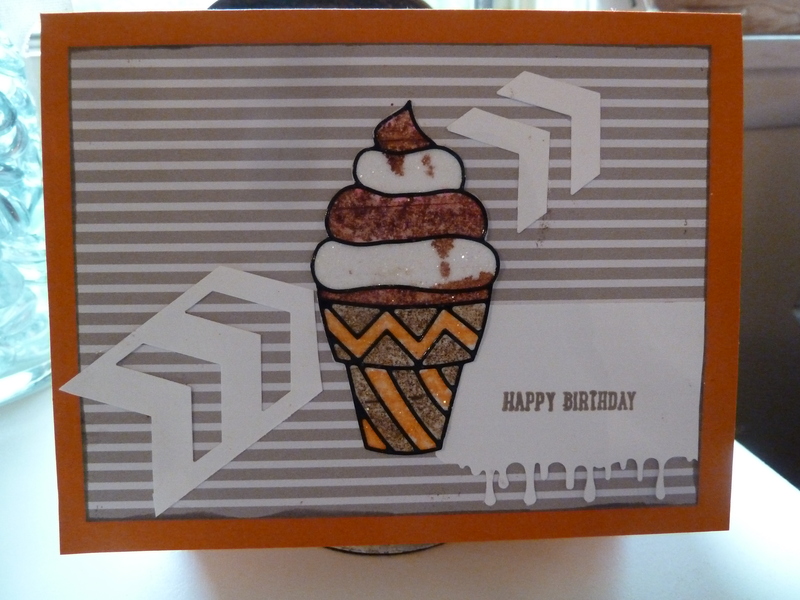 The second card is so summery and fun – made with Elizabeth Craft Outline Stickers and glitter colored with my Copic markers. Love how the chocolate is dripping and used a Martha Stewart punch for the sentiment. I have one more done that I’ll add to the next post that is a triple-stamp flower. So, that leaves 18 more to go. If you saw my previous post you might wonder how 20 cards to do in June less three done leaves 18 – completely missed my great-nephew. He’s a little charmer and can’t forget him! LOL! 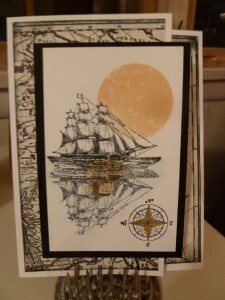 This entry was posted in Cards and tagged Copics, The Open Sea, Typeset DSP. Bookmark the permalink. 3 Responses to Oh, Ship! It’s Your Birthday! Fun and creative as usual Kaye! Love the dripping cone. Thanks, Mary! Have to get these cards done so we can play! Love your reflection technique! Cute cards.